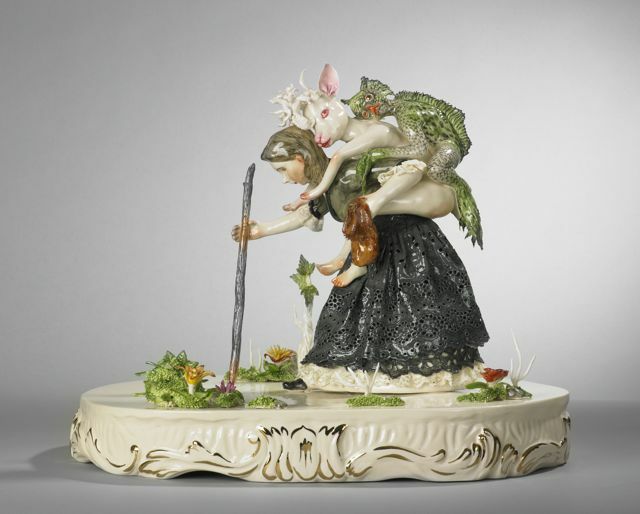 A three-way interspecies piggyback session by artist Shary Boyle. Photo by Rafael Goldchain, courtesy of the AGO. In today’s Urban Planner, Shary Boyle sculpts all the way to the bank, a movie date with Olivia Chow, Richard III is unattractive with a bad personality, and Bob Wiseman laughs at himself. ART: Canadian painter, sculptor, projection and installation artist Shary Boyle—one of the decade’s most buzzed-about artists—shows twenty-eight works, including four large-scale installations, at her new exhibit Flesh and Blood. After pocketing a very impressive (and profitable) Gershon Iskowitz Prize last year, Boyle’s fantastical, multifaceted vision will be taking over not one, but four of the AGO’s European galleries. Catch the big unveiling tonight. Art Gallery of Ontario (317 Dundas Street West), 6 p.m., FREE. FILM: Head out for a date with MP Olivia Chow—but no word if Jack Layton plans to crash—at the Bloor Cinema. She’s screening The End of the Line, a documentary about over-fishing and the looming collapse of fisheries—only the most important food source for 250 million people worldwide. Loiter a little later for a discussion with Greenpeace Canada Executive Director Bruce Cox. And even better: it’s all free, just like the NDPs would want it to be. Bloor Cinema (506 Bloor West), 6 p.m., FREE. THEATRE: Just in time for back-to-school English 101, University of Toronto’s Hart House Theatre premieres its version of Shakespeare’s Richard III, directed by new Artistic Director Jeremy Hutton. The Cliff Notes version: during the winter of his discontent, Richard—corrupt and evil, but suave with the ladies—is totally bummed by his hunchback and unfortunate positioning in the line of succession to the British throne. We won’t ruin the punch line, but it’s something for a horse. Runs tonight and through until October 2. Hart House Theatre (7 Hart House Circle), 8 p.m., $25 or $15/student. THEATRE: After showing at Fringe festivals across the country, former Blue Rodeo rocker Bob Wiseman finally performs his critically acclaimed play Actionable for Torontonians. Stopping at Hugh’s Room for one night only, Actionable reflects on various litigious situations following Wiseman’s departure from Blue Rodeo and his following attempts at a solo career. Lawyers for Pepsi, Prince, and Warner star with Wiseman, who represents himself, of course, with Super 8 film, projection, power-point interludes, and even an accordion. Hugh’s Room (2261 Dundas Street West), 8:30 p.m., $17 in advance or $20 at the door. FILM: TIFF’s still here: are you? Torontoist’s complete coverage of this year’s Toronto International Film Festival is all right here.